A petition for writ of certiorari filed with the U.S. Supreme Court on July 17 (the respondent’s reply is still pending) may provide the justices with a timely opportunity to clarify the Court’s jurisprudence on compelled speech. The case, Anthem Prescription Management v. Beeman, involves the increasingly common practice by government of enlisting private enterprises to communicate certain messages against their will. 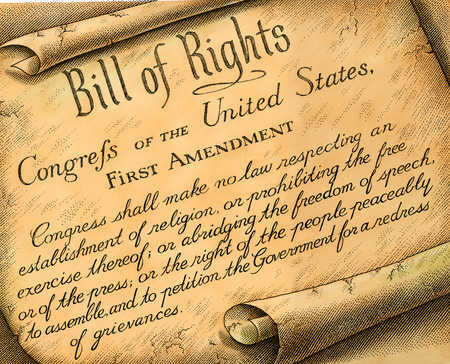 As we have discussed here recently, the lower federal courts are fractured over the amount of First Amendment scrutiny judges should apply when businesses challenge such speech mandates. Laws Not Targeting Deception. What if the government interest underlying a speech mandate is not correction of deception? In our opinion, the Court spoke quite clearly in Zauderer, carving out prevention of deception as a unique exception to the First Amendment’s heightened protection of commercial speech, and thus heightened scrutiny should still apply to other speech mandates. Nonetheless, some federal courts of appeal have put their own spin on Zauderer. The U.S. Courts of Appeals for the First, Second, and Sixth Circuits have all concluded that the minimal scrutiny applied in Zauderer is not limited to government’s correction of deceptive commercial messages. When Anthem Prescription Management filed its cert petition, both the D.C. and Fourth Circuit viewed Zauderer‘s approach as limited to misleading or false speech. With its American Meat Institute decision, however, the D.C. Circuit joined the three other circuits expanding Zauderer to reduce the scrutiny on all speech mandates. The Wayward Ninth Circuit. The Ninth Circuit’s approach is a more extreme version of that taken by the First, Second, Sixth, and D.C. Circuits. Businesses challenging speech mandates in the Ninth Circuit have almost no hope of victory, because there, as long as the compelled speech is factual, the First Amendment does not limit government’s authority. According to that court’s precedent, government’s interest can be thoroughly insubstantial, the mandate can be unduly burdensome, and the law need not advance the government’s interest at all. Consider the law upheld by the Ninth Circuit in Beeman. Pharmacy benefit managers (PBMs) like Anthem have successfully reduced prescription drug costs for their clients by creating networks of pharmacies that are willing to accept discounted reimbursement rates when they fill prescriptions for PBMs’ clients. California independent retail pharmacies, unhappy with these low rates, enlisted the help of state legislators, some of whom introduced a bill to directly regulate reimbursement rates. When the state insurance department understandably opposed a bill that would raise drug prices, the legislature took the indirect route. California Civil Code § 2527 requires PBMs to collect information on the fees California pharmacies charge for filling prescriptions, draft studies from that information, and share the studies with their clients. The independent pharmacies intended that this information would be used in the future to push for prescription reimbursement hikes. If Certiorari is Granted. The Ninth Circuit clearly erred by not providing PBMs any First Amendment protection from § 2527’s speech mandate. The law does not pass muster under even limited Zauderer-type scrutiny, as it requires the PBMs to communicate information not about themselves, but about third parties. It also would not survive the watered down scrutiny the D.C. Circuit applied in American Meat Institute, as California’s interest is not “substantial,” even under that circuit’s very loose interpretation of the term. If the Court does grant review, it should not take the easiest way out, which would be to merely rule that even “dry information” merits some First Amendment protection and then remand Beeman back to the Ninth Circuit. Especially in light of American Meat Institute, the Court should clarify that government’s authority to mandate speech by commercial entities is greatest when the mandate corrects deceptive information, and that if the government’s interest is not related to deception, courts should apply heightened First Amendment scrutiny. As Judge Janice Rogers Brown wrote in her compelling American Meat Institute dissent, “The clear trajectory of the Supreme Court’s jurisprudence is toward greater protection for commercial speech, not less.” The justices must not allow lower courts to alter that trajectory.